Rabbits make great pets. 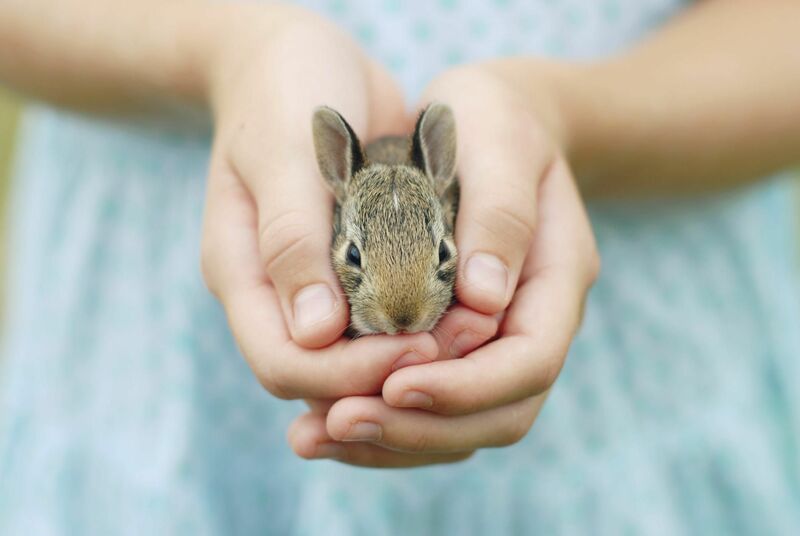 This care guide will help you get the most enjoyment out of your pet rabbit! The first thing to consider before you get a pet rabbit is that they have a long lifespan so be prepared to care for them long term. Rabbits are also unique creatures who form tight bonds with their families, but they also have some quirks you should know about. They require some routine vet care from a good rabbit vet and are not low maintenance pets if you are doing things right. If you are prepared for all the unique qualities and needs of rabbits, you will be able to fully enjoy the wonderful companionship they can offer. A fairly quick look over at your potential pet rabbit will help you sort out if there are any obvious signs of illness or other issues. While there are no guarantees, avoiding rabbits that have common signs of health problems can save you a lot of heartache in the future. By having a close look at a rabbit you are considering, you also get a chance to see the personality of the rabbit. Also, if you have decided to add a rabbit to the family, it is highly recommended you start out by looking at your local shelter or rabbit rescues. There are lots of rabbits who need a second chance at a forever home. Choosing the right kind of cage for your rabbit is extremely important. Cages that are spacious enough, easy to clean, and easy for your rabbit to get in and out of will make sharing your home with a rabbit so much better. A cage that is large enough is important for the well-being of your pet rabbit, but it is also no substitute for ample exercise and social time out of the cage. Bedding and litter are also important choices to make as cost and ease of clean-up will become your concerns over time. Even the best quality rabbit pellet is not adequate on its own as a diet for pet rabbits. Plenty of fresh grass hay is very important in a rabbit's diet, as are fresh greens and vegetables. The right diet is critical to keeping pet rabbits healthy. Get the scoop on feeding your rabbit a well balanced and high fiber diet. Rabbits are playful, active, and curious, and they need a good variety of toys to keep them occupied (and out of trouble). Toys are also important to a rabbit's mental health and provide an opportunity for you to bond with your bunny. Rabbits are quite trainable, but it may take some patience, especially when it comes to litter training and redirecting very natural behaviors like chewing and digging. Spend some time learning how to understand what your rabbit is trying to tell you and rabbit-proofing your home, and you'll both be happier! Grooming rabbits is important for all bunny owners to be familiar with. Find out why regular brushing is a must, bathing is out, and the low down on nail trims. The health of your rabbit is very important, and your rabbit's veterinarian (find one near you) will play a large role in keeping your bunny healthy. Spaying or neutering, proper diet, exercise and enrichment, and regular check-ups are all vital to helping your rabbit live a long and healthy life.